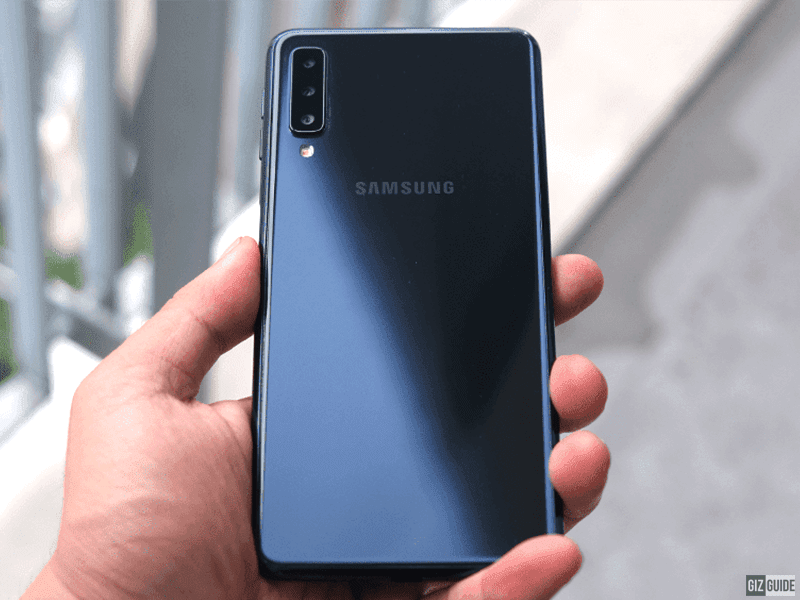 The Galaxy A7 (2018) is the most promising Samsung mid-range smartphone of the year. It has decent looking specs and a triple-camera setup for PHP 17,990. In this comparison, let's see if the new Samsung Galaxy A7 (2018) can compete with Huawei's mid-range star, the Nova 3i. It is one of the most balanced smartphone in terms of construction, specs, and cameras for the price. The better value for money phone is? 2.5D glass with gradient color! 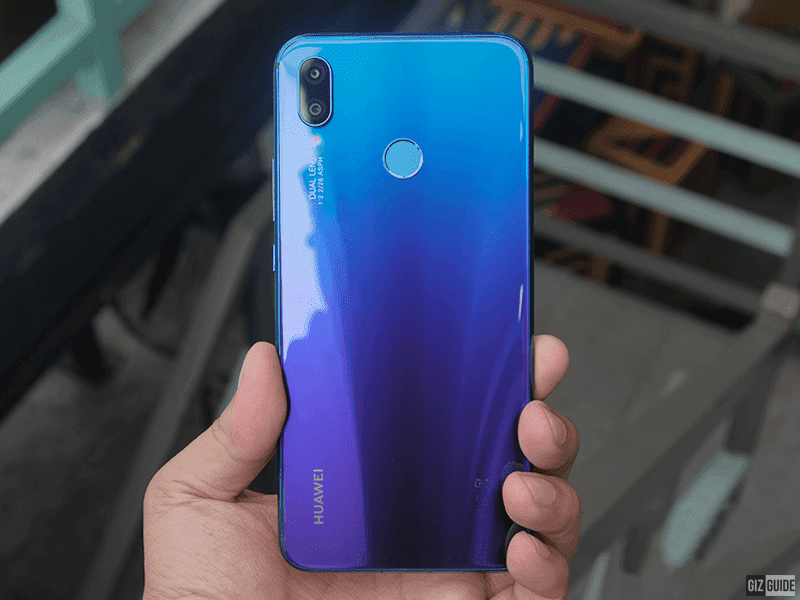 Build Quality/Design - The Huawei Nova 3i is a premium looking phone with a mid-range price tag. Even after almost 5 months since it was first introduced, there are very few mid-range phones with the same level of craftsmanship. It is made out of 2.5D curved glass at the back and in front with curvy metal frame in the middle. On the other hand, Galaxy A7 (2018)'s materials are not as premium as the Nova 3i. But, it is no slouch as well. The 2.5D glass panels that sandwich a polycarbonate frame made it look better than most as well. The reinforced polycarbonate almost made us think that it was metal at first glance. We also noticed that the Nova 3i is the smaller phone despite having the bigger 6.3-inch screen compared with A7's 6-inch display. It measures at 157.6 x 75.2 mm while the A7 measures at 159.8 x 76.8 mm. The A7 is just slightly slimmer and lighter at 7.5 mm and 169 g versus the 7.6 mm and 169 g of the Nova 3i. The Nova 3i also has a variant with the stunning gradient design found on the high-end P20 Pro. It has a notch, but you can hide the notch in the display settings. The A7 doesn't have a notch, but it has thicker bezels than the Nova 3i. The Nova 3i is the better looking phone for me. Display Quality - The Nova 3i and Galaxy A7 (2018) are two phones with big screens. The Nova 3i has the bigger and taller 6.3-inch FHD+ display with a notch. It also has the higher screen-to-body ratio between the two. The 6-inch Infinity Display of Samsung doesn't have the same stunning slim bezels of the Nova 3i, but it doesn't have a notch and it has an AMOLED panel. It is the device with slightly punchier colors and deeper blacks. But, it is either you choose the bigger screen on a smaller body or the AMOLED screen of Samsung. Specs - Under the hood, the Nova 3i sports a very capable chip for the price. The AI-ready Kirin 710 SoC with Mali-G51 MP4 GPU. The Mali-G51 MP4 GPU even has the GPU Turbo technology to improve the smoothness of games like PUBG Mobile, Mobile Legends: Bang Bang, and more. 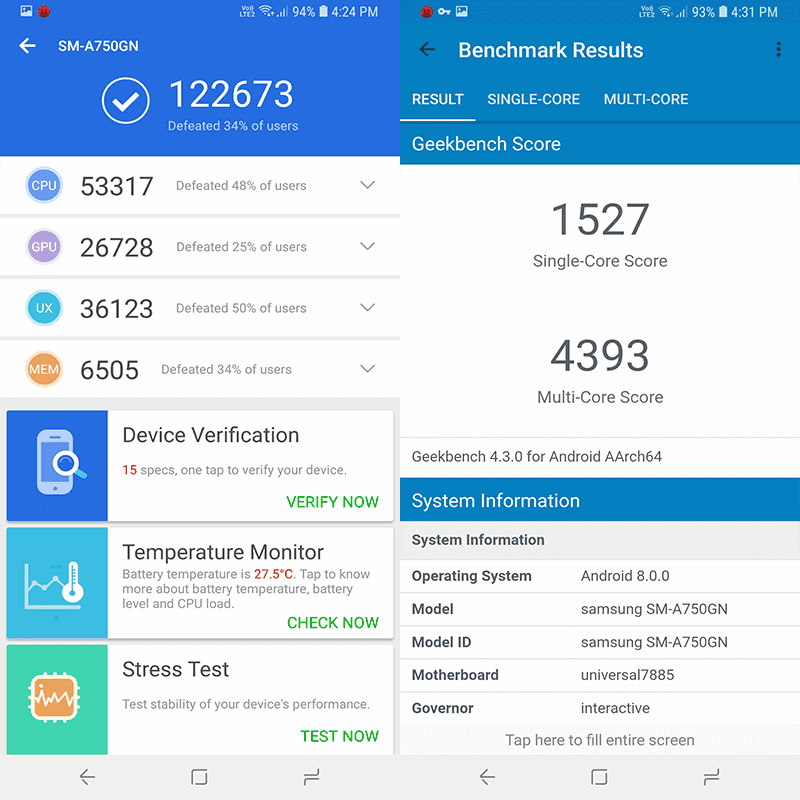 Based on the benchmark scores, the 12nm Kirin 710 chip is more capable than the 2.2GHz 14nm 64-bit Exynos 7885 octa-core processor with Mali-G71 MP2 of Samsung. 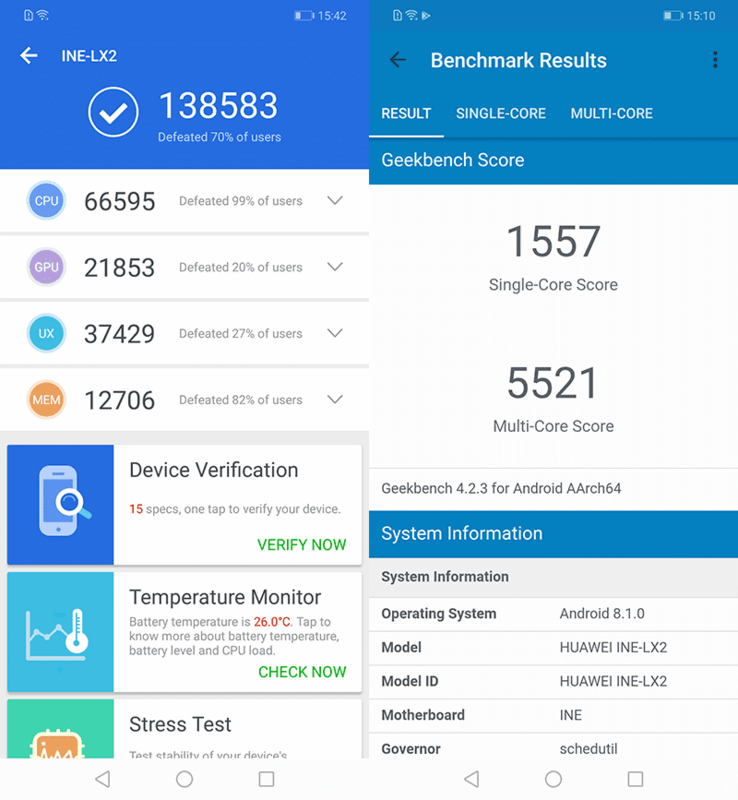 GPU performance of the Galaxy A7 is a bit more powerful the Nova 3i's GPU though. Both chips are clocked at 2.2GHz. Both also are also equipped with 4GB RAM for steady multitasking and speedy opening of apps. The Nova 3i has 128GB of storage which is double the 64GB found on the Galaxy A7 (2018). Battery is about the same for both phones at 3,340mAh (Nova 3i) and 3,300mAh (Galaxy A7). Cameras - At the back, the Nova 3i has two cameras. It goes with a 16MP f/2.2 + 2MP sensors. It also has PDAF focus, contrast focus, Master AI, and an LED flash. On the other hand, the Galaxy A7 (2018) is the cheapest with rear triple-camera setup. It goes with a 24MP f/1.7 primary shooter paired with an 8MP f/2.4 120-degree wide-angle lens and 5MP f/2.2 depth sensor. It also has the Scene Optimizer mode from the Galaxy Note9 which works like the Master AI of Nova 3i. Based on the specs, Samsung's camera configuration is more impressive. But, it doesn't have the software of Huawei which include the very impressive Super Night Mode for handheld long exposure shots with the help of AI. For selfies, the Nova 3i could be slightly better here. It has 24MP f/2.0 shooter paired with a 2MP w/ AF, Master AI, HDR Pro, and screen flash. The A7 has the 24MP f/2.0 shooter, but it doesn't have a secondary sensor for depth information. The Nova 3i and Galaxy A7 also goes with AR filters and effects. But, only the Nova 3i has the 3D Qmoji feature. How, the Nova 3i has a 3D sensor for face unlock and 3D face recognition. 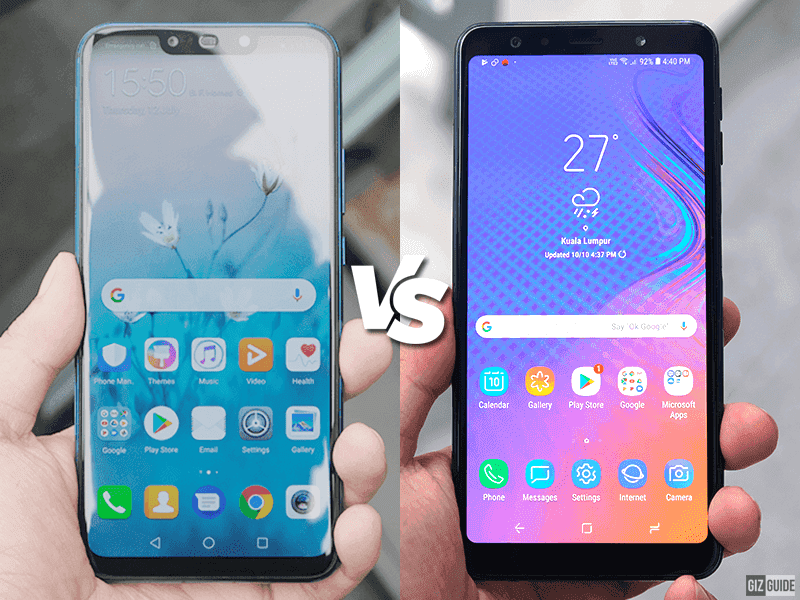 Both the Huawei Nova 3i vs Samsung Galaxy A7 (2018) are solid mid-range phones! I like that the Galaxy A7 (2018) arrived with an AMOLED screen and a versatile triple-camera setup. But for me, the Nova 3i is still the better value for money device so far. The build is more premium and it has more features compared with the Galaxy A7 even if it has a more affordable price tag. 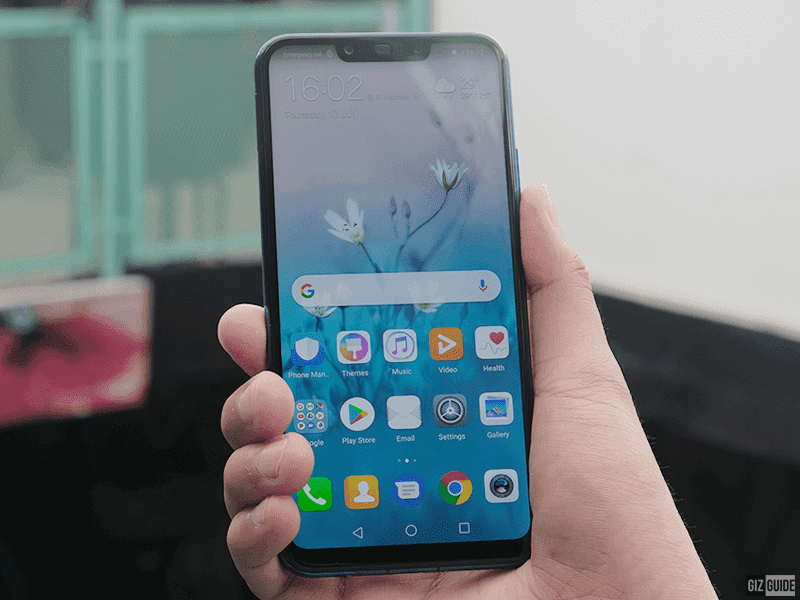 For our Huawei Nova 3i review, read here. 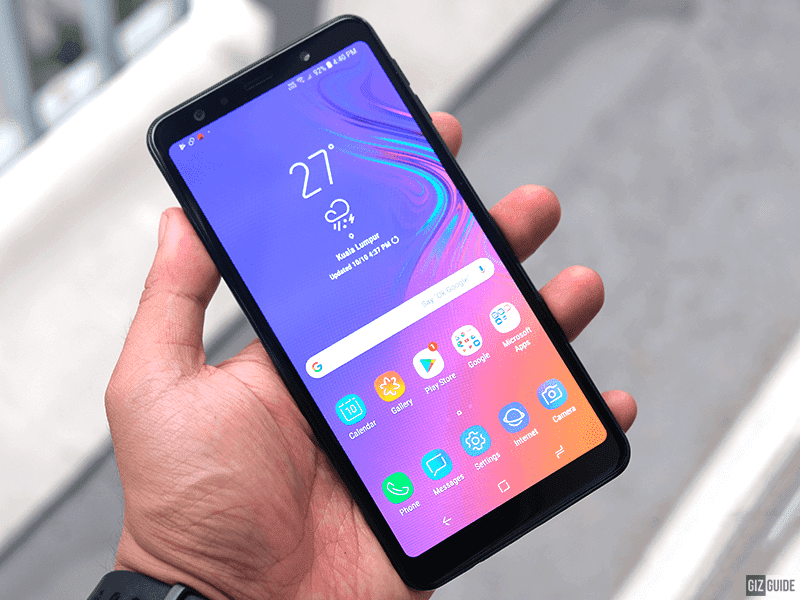 For our Samsung Galaxy A7 (2018) review, you may check it here. That's it! Do you agree with us?